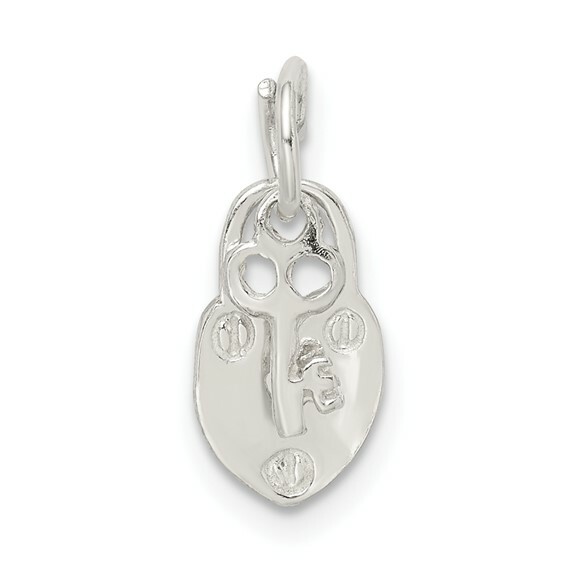 Sterling Silver Lock & Key Charm. Weight: 0.68 grams. Measures 7/16 inch tall by 1/4 inch wide without bail. Chain not included.